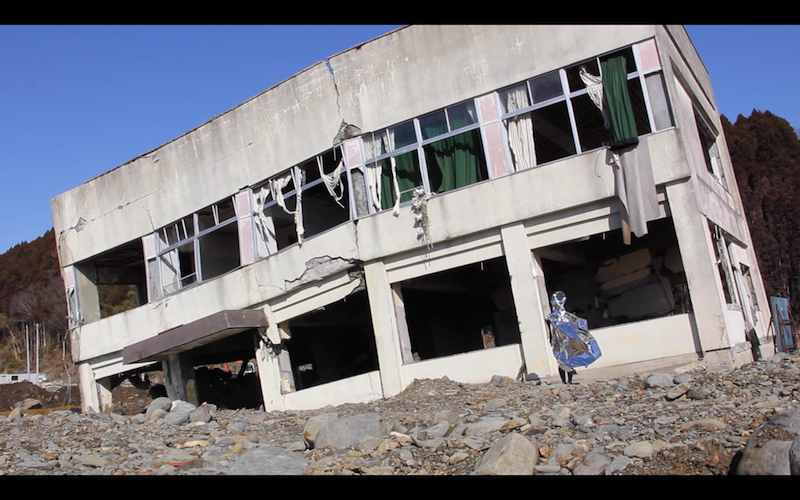 In performances during a residency at Tokyo Wonder Site in March 2012, I drew on Rhoades’ understanding of the reflective as a tool for disruption. 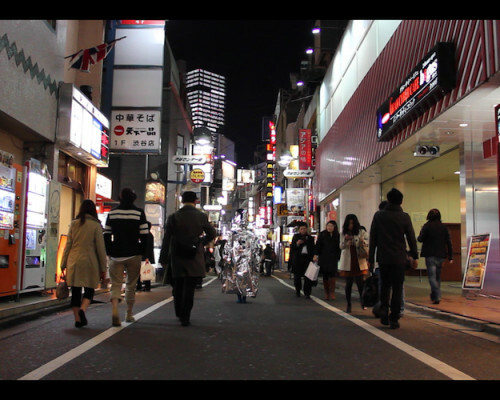 Wearing a simple outfit that I made out of metallic silver plastic sheeting, I stood in the neon-saturated streets of Tokyo at night. In wearing this reflective costume, I act as a kind of light magnet, reflecting and remediating the surrounding overload of visual information. At points, the costume reflected so much visual information that it is difficult to see my form in the resultant video. 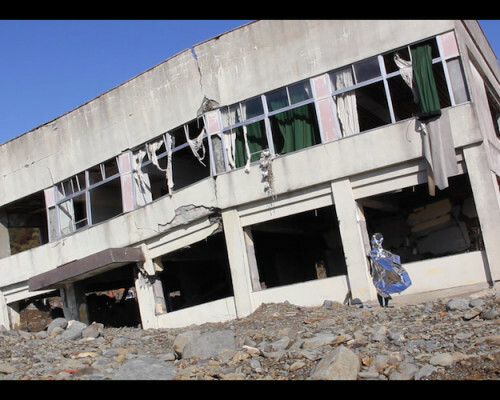 This performance was also undertaken in some of the disaster-affected areas one year after the March 11 tsunami and earthquake – with the carcasses of destroyed buildings forming a very different backdrop. 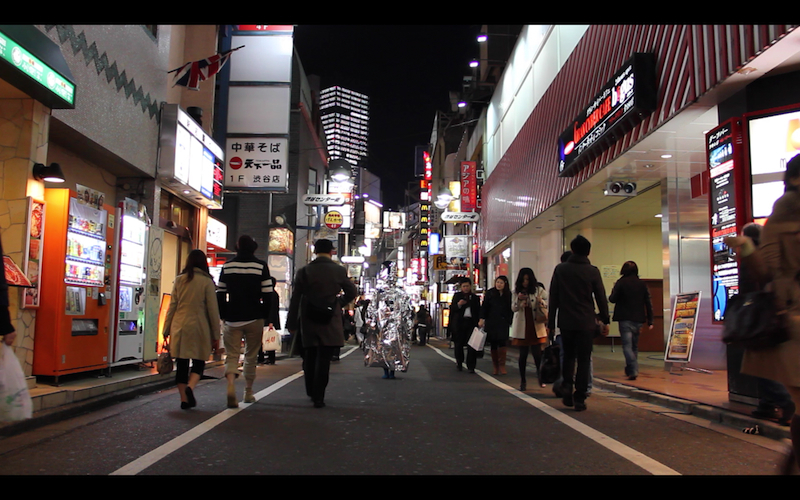 By performing this same action in these very different contexts, I directly linked the electric avenues of Tokyo with their pulsating lights to the desolation disaster-hit area, an area made more desolate by proximity to the Fukushima nuclear disaster. Some of my experiences in Tokyo verged on a glimpse of the technological sublime, and this contrasted sharply with witnessing the sublime and terrible devastation left by the events of March 2011. 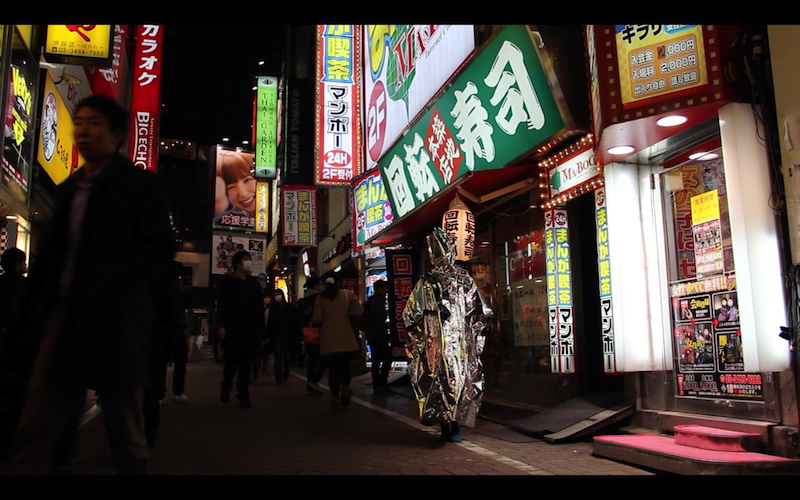 Made during a residency at Tokyo Wonder Site in 2012, supported by UAL and the British Council.